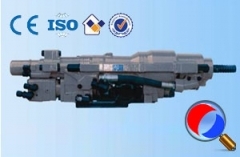 CHYG51 Full hydraulic rock drill drifter is lead rail type, self-help rotate rock drill. 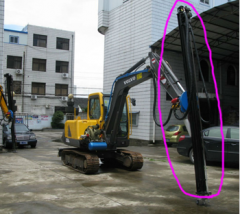 This rock drill assort use with drilling jumbo, to drill mid hardness or hard rock in any angle. 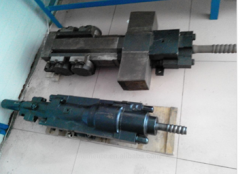 Use 51~68mm drilling rod, hole diameter 89~152mm. 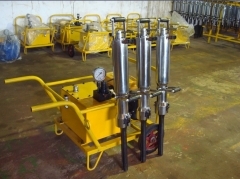 Mainly use for drilling deep hole and the open air rock drilling. 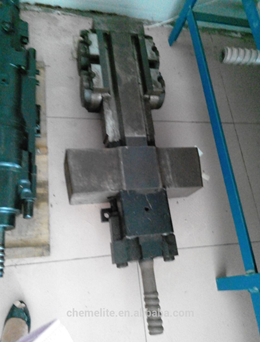 This rock drill is high-performance, energy saving, can steady operation 6000M no examine and repair.